I promise no complaining about the weather in this report. River flows on the Kank are stable in the 8000 cfs range, temps are staying in the mid 40's, and the clarity varies day to day. 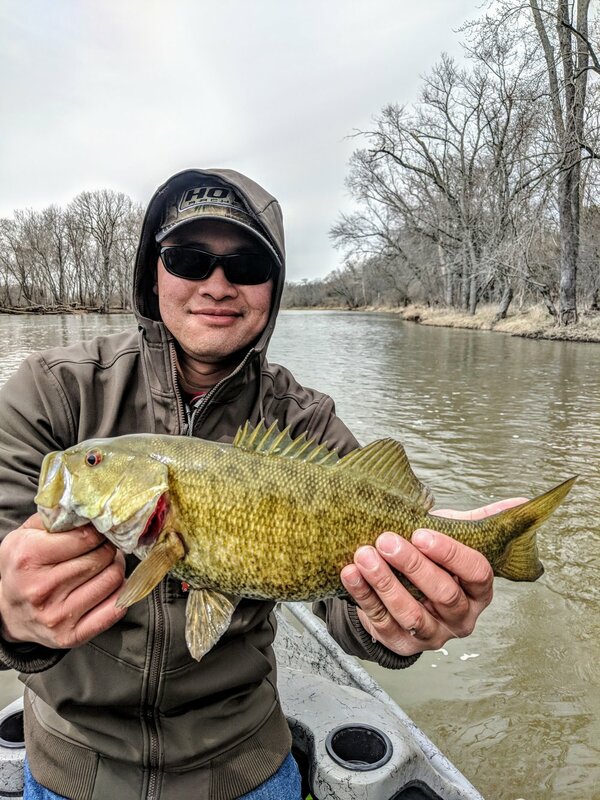 The smallies are starting to chase streamers, which is a nice change from the low and slow program. I think mid week we'll finally be in normal spring conditions for good.